People come to lawyers for solution and some of them are in serious problems. 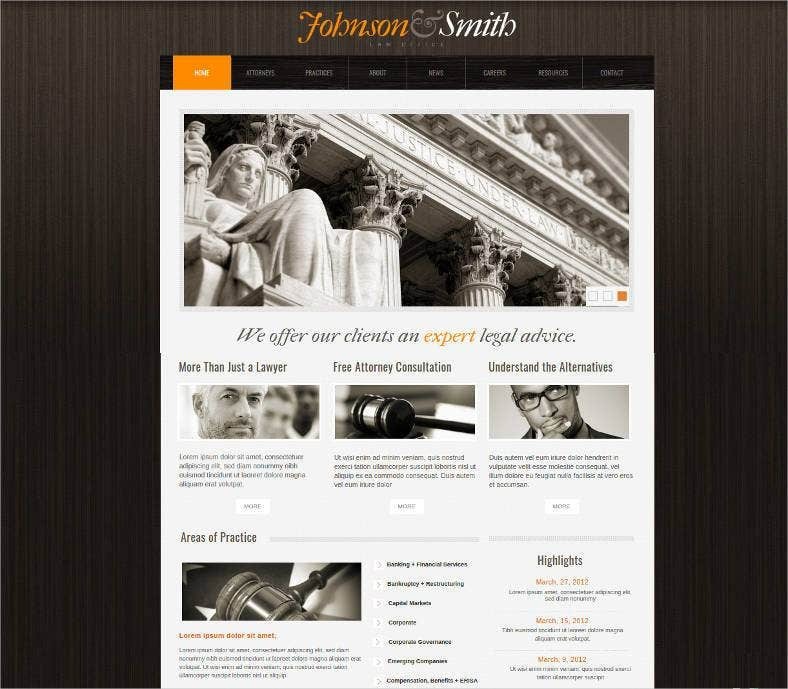 Therefore, a lawyer’s website should represent the seriousness in their work. 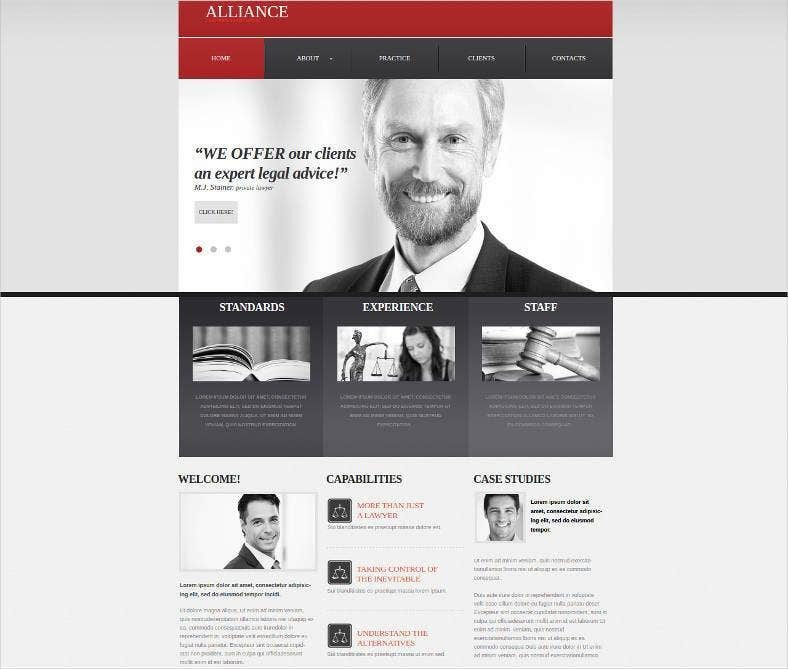 Modern Website templates for lawyers and of people providing judicial services come in various colours and styles. 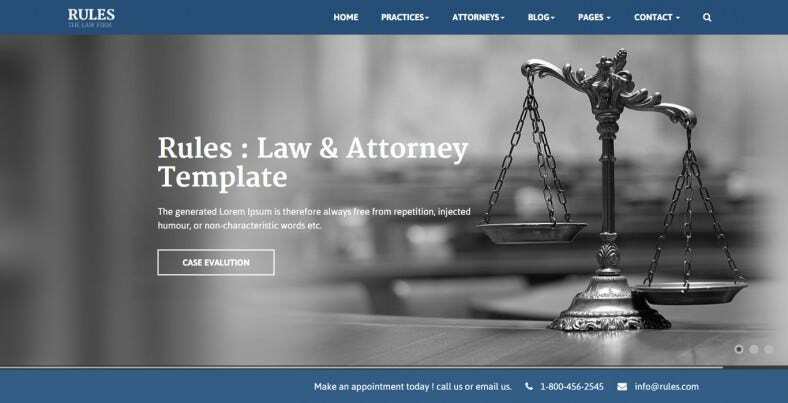 Above all, samples of law website templates are completely free to download. 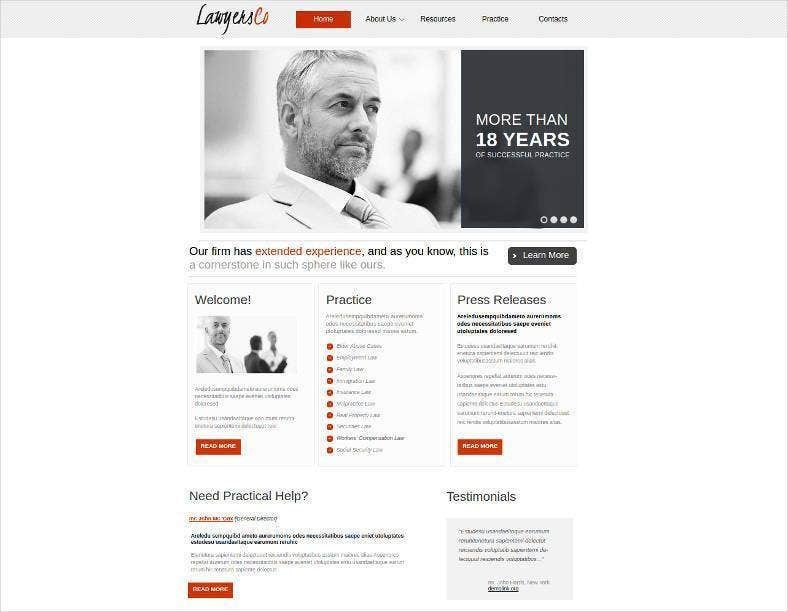 Put a picture of your firm, manage your contact list or update your client’s status, in essence, us it the way you like. 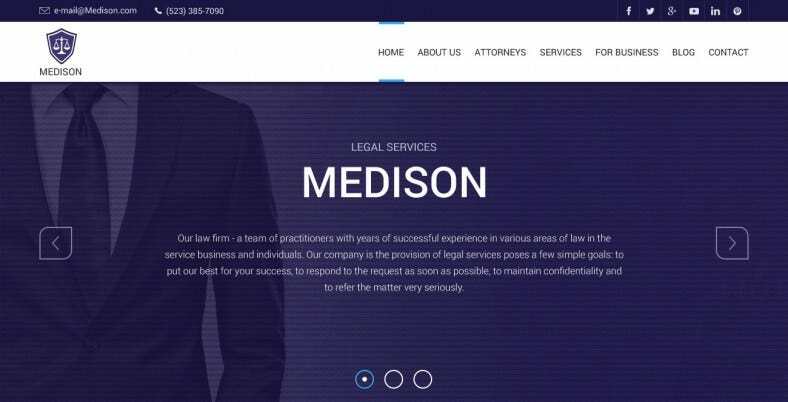 This responsive, HTML 5- CSS3 coded template with an 1170 Grid System, SEO friendly coding and jQuery header sliders is ideal for lawyers. 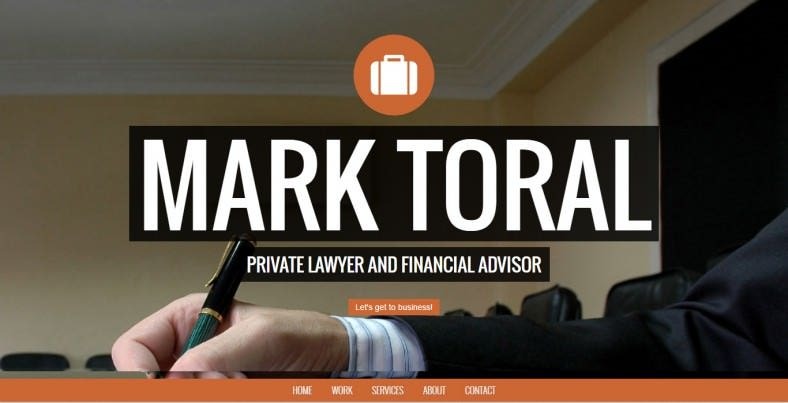 Add a professional personality to your web-profile. 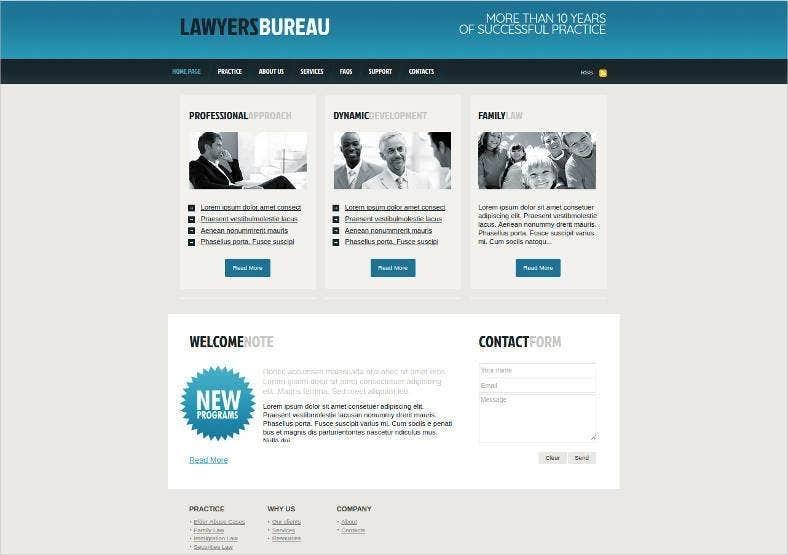 The 100% responsive lawyer themed template is an ideal rendering of a professional website. 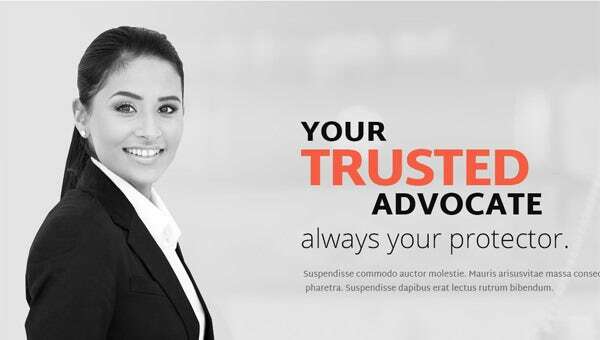 This flaunts a clean and corporate look with rounded edges. 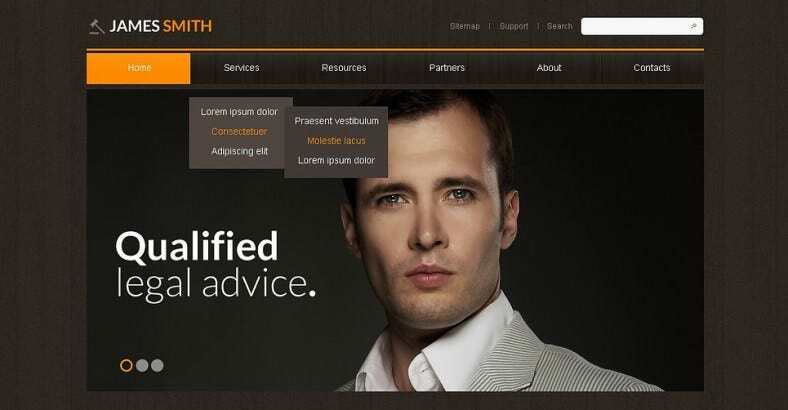 This HTML coded template has 4 working PHP forms and a 3-in-1 design. 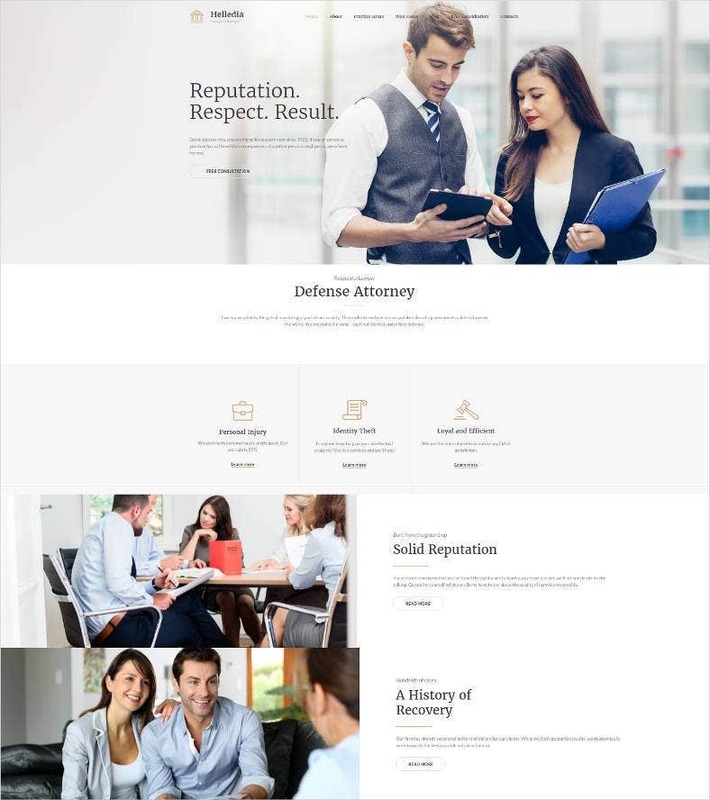 The new template for lawyers is loaded with tons of cool features including sticky main menu, parallax effects, a responsive layout, free Google fonts, multiple pages and much more. This template is now loaded with 9 HTML files, built on Bootstrap and fully customized. Unleash your creativity with boldness; edit on Adobe Photoshop CS+ and use free Google fonts to create your unique style. 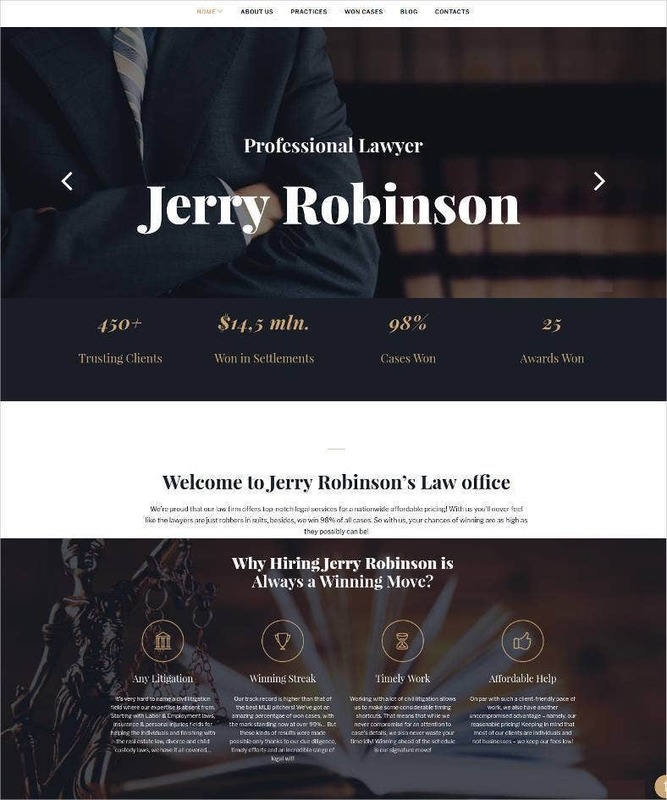 One of the few dedicated lawyer templates with specialized sections for awards, accolades, notices and professional achievements. 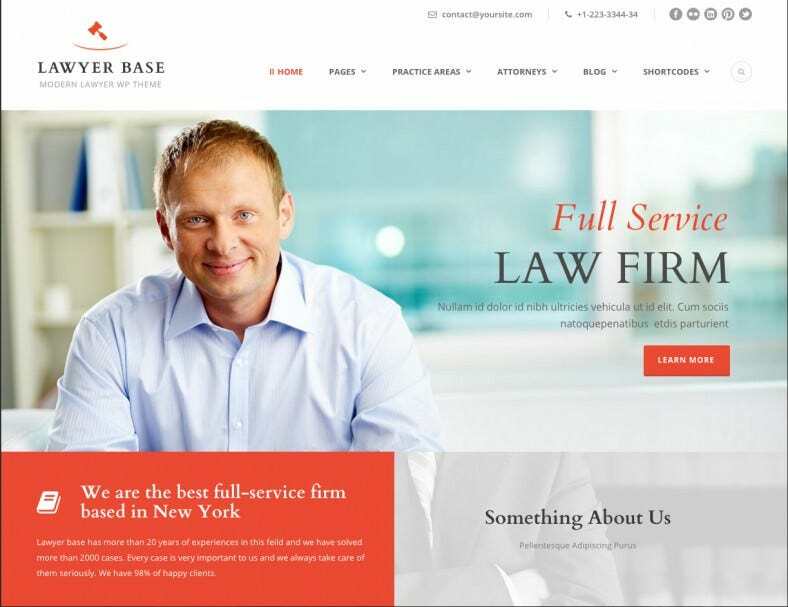 This template also has a homepage slider, responsive layout and working contact form. 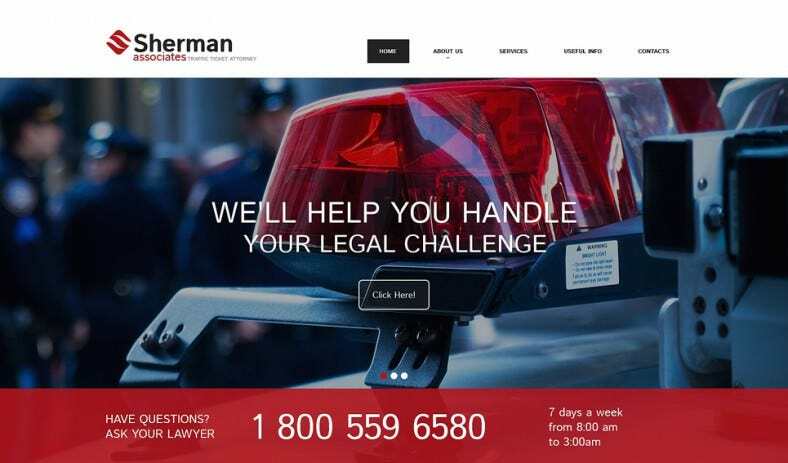 Responsive law website template design gives the liberty to clients to reach through any device. 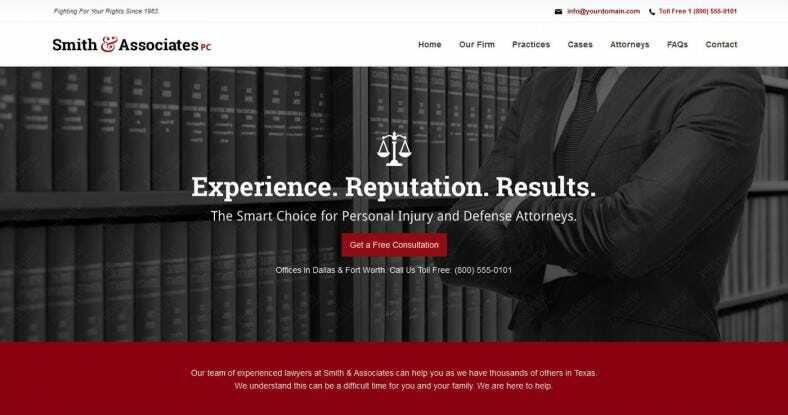 Show the professional side of your law firm or as a lawyer and represent yourself that you mean business through the unmatched collection of best website templates and themes. 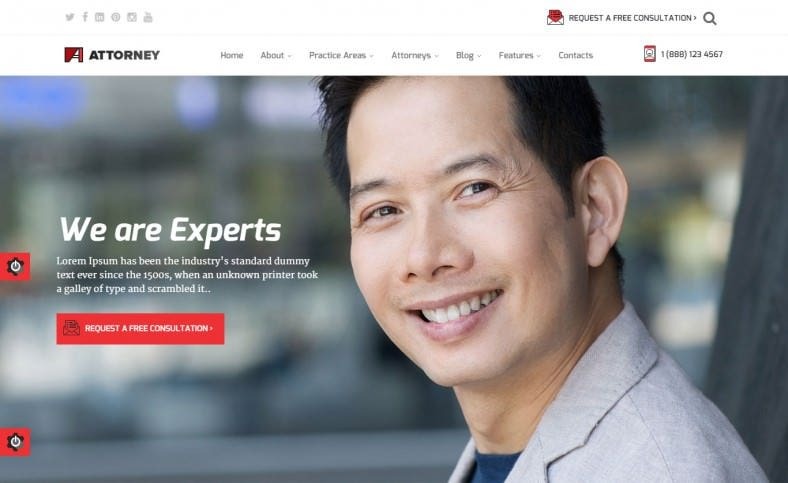 Put the logo of your firm and change the fonts and colours accordingly.